Few of us need a description of blurred vision because we’ve likely all experienced it, either occasionally (like when we’ve had too much computer time) or if when we’re not wearing our corrective lenses. Refractive errors, also known as nearsightedness or farsightedness, are the most common cause of blurry vision. According to the National Eye Institute, most people have at least one refractive error. But what happens if your vision suddenly begins to worsen or becomes blurry out of nowhere? Addressing it as soon as possible is important because there could be a serious underlying cause. There are many reasons why your vision may suddenly become blurred. Luckily, plenty of lifestyle habits and supplements can help keep your eyes healthy. Blurred vision makes things appear “fuzzy,” or unclear. It can occur in one or both eyes and can affect direct line of sight and/or peripheral vision. Vision can become slowly blurry over time or happen suddenly, depending on the underlying cause (x). Finding the underlying cause of blurry vision, often through the help of an ophthalmologist or other medical professional, is necessary for determining the best way to address it. Lifestyle interventions and supplements can help in some cases but not in others. Because there are many different kinds of supplements, it is always important to make sure you read the product label and recommended dosage before taking any new supplements. 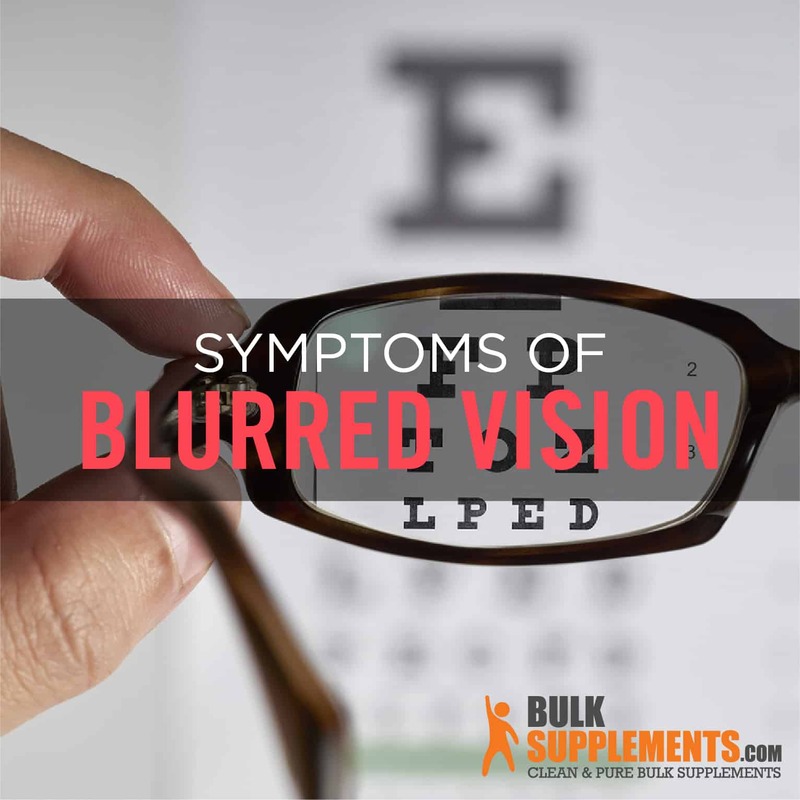 Sometimes blurred vision can occur as a result of a sudden drop in blood sugar. Consuming foods high in fast-acting sugars (like a few bites of candy or sips of non-diet soda) followed by a longer-acting carbohydrate (i.e., rice or yogurt) can help relieve blurry vision (x). Diabetic retinopathy, on the other hand, is a more serious eye condition which damages the blood vessels in the eye, leading to blurry vision. Managing it requires disciplined control of blood sugar and blood pressure under the guidance of your physician (x). 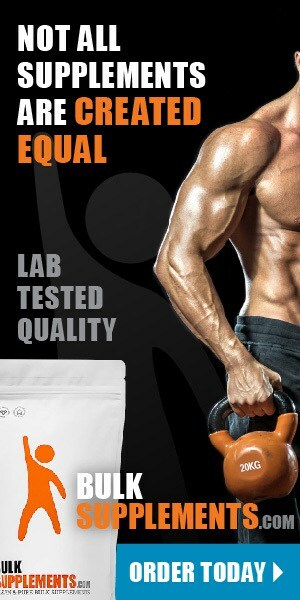 Some supplements, however, may help control this condition. Studies show that cinnamon and cinnamon extract supplements help people with Type 2 diabetes maintain better blood sugar control after meals (x, x). In addition, levels of the minerals chromium and magnesium tend to be low in people with type 1 and 2 diabetes. Studies have found that supplementing with these two minerals may play a role in helping the body manage glucose and insulin levels (x, x, x). Not everyone experiences vision changes (also known as an “aura”) with a migraine. When it happens, though, it can be temporarily debilitating. The causes of migraines are as varied as the causes of blurred vision. That said, many supplements can help reduce the general occurrence and severity of migraines. A 2016 review of clinical trials found that magnesium can be particularly helpful in both preventing and treating migraines (x). There is no standard dosage recommendations for migraine management, but dosages of 300-600 mg of supplemental magnesium were used in the studies (x). Vitamin B2, also known as riboflavin, can also help with migraine management. Why does it work? Vitamin B2 plays a role in mitochondrial function which can sometimes “glitch,” causing migraines. Doses of 200-400 mg/day were shown to be most effective in the studies (x). Another safe and effective supplement for migraine relief is coenzyme Q10, or CoQ10 for short. Multiple studies have shown that in doses of 100-150 mg per day, this compound can help prevent migraines and shorten their duration, severity and symptoms like blurred vision (x, x). Herbal remedies used alone or in combination with other treatments that may also relieve migraines include caffeine containing plants, butterbur, feverfew, and lavender (x, x, x, x). The macula is the part of the eye responsible for providing sharp, central vision. Cataracts are clumps of protein that form on the lens of the eye and begin to cloud vision. Both AMD and cataracts become increasingly common with age, but even young people can take steps to prevent or slow their progression. Regular exercise, not smoking, and eating a diet rich in foods high in beta-carotene (i.e., dark leafy greens, orange vegetables) and fatty fish are some of the lifestyle habits associated with a lower risk of developing these conditions (x). In addition to lifestyle habits, research shows that getting certain nutrients through diet or supplements also reduces the risk. For example, several studies have concluded that people who don’t get enough vitamin C have higher rates of cataracts. However, more is not necessarily better in this case. Those who ingested around 300-500 mg per day had a lower risk of cataracts but when people supplemented in amounts over 1,000 mg, their risk went up again (x, x). Talk to your ophthalmologist to determine which dosage of vitamin C is best for you. There are several different types of cataracts, and research shows that certain B vitamins – specifically thiamin (B1), riboflavin (B2), niacin (B3), folate (B9) and B12 – can each have a preventative effect on one or more types. As a result, B vitamin complexes and/or multivitamins are often recommended for those with cataracts (x). Lutein and zeaxanthin are compounds called carotenoids–pigments found in plants and in your retina. Supplementing with them can help increase the density in your retina and absorb blue and ultraviolet light that can damage your eyes, helping to prevent both cataracts and AMD (x). Consuming an eye-healthy, nutrient dense diet. This includes foods that are high in antioxidants like dark, green leafy vegetables such as arugula, kale, and spinach; omega-3 fatty acids like tuna, trout, or salmon; and lots of vitamin A from sources like carrots, liver, and sweet potatoes. Don’t smoke, or if you do smoke, quit as soon as possible. Make sure to get frequent eye exams. Always wash your hands before applying contact lenses or eye drops in order to reduce the risk of an infection. Always wear protective eyewear when operating machinery to avoid trauma or damage to the eye. Your eyes are one of the most important parts of your body. Taking good care of them with nutrient dense foods, hydration, and vision supplements can help prevent blurry vision and other eye issues. Make sure to always consult with your ophthalmologist to determine the root cause of your blurry vision and the appropriate way to treat it.